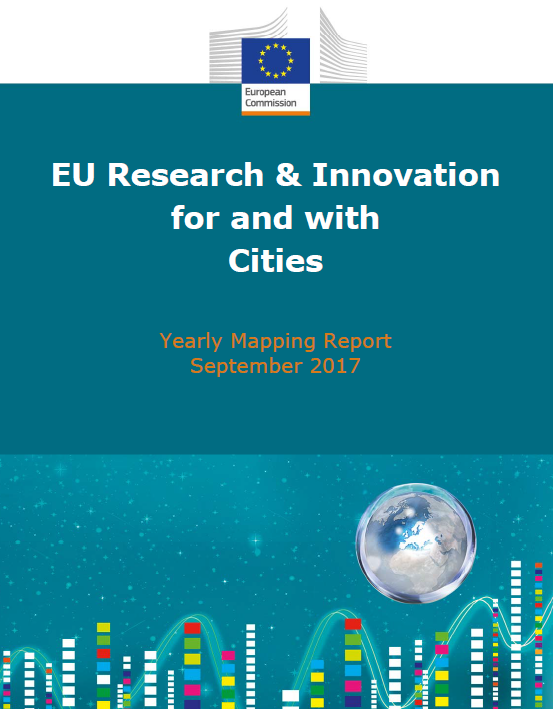 This report provides an overview of the main EU Research and Innovation (R&I) actions for and with cities, promoted both at the European and international level to foster sustainable urban development. In addition, it presents a detailed overview of budget of Horizon 2020 and the past three research Framework Programmes (FP7, FP6 and FP5) committed to city-related projects. The added value of this publication is to provide a comprehensive overview of actions and initiatives which have been promoted by the EU R&I and present the contribution to other EU policies on sustainable urban development. This document is a first attempt to provide a more systemic overview of all the different EU R&I action on smart and sustainable cities. The intention is to update this report on a yearly basis and create a series.